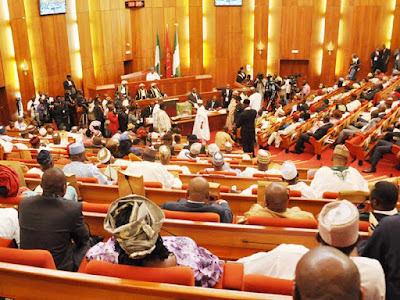 Senators rushed out of National Assembly as fire breaks out of the technical room of the complex in Abuja today February 15th. The technical room is located on the ground floor of the Assembly compound. Staffs and other workers are currently being evacuated to avoid being choked by the huge smoke from the fire. The Senators were having their plenary session when the fire broke out.